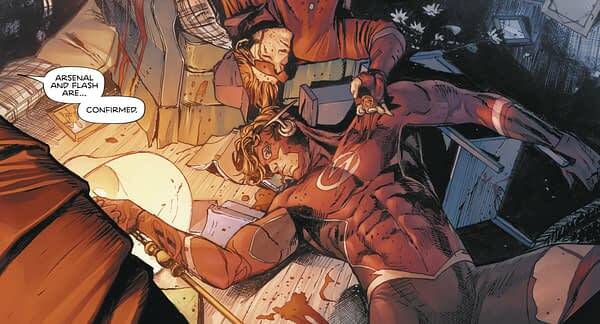 The recent issue of Green Arrow saw everyone upset about the death of Roy Harper in the recent Heroes In Crisis series, including the Justice League – but not one mention that Wally West died literally alongside him. It was a strange disconnect. 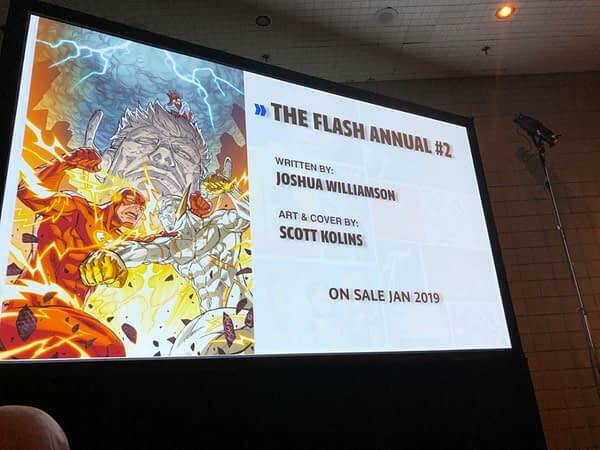 Will the Flash Annual do the same in January? 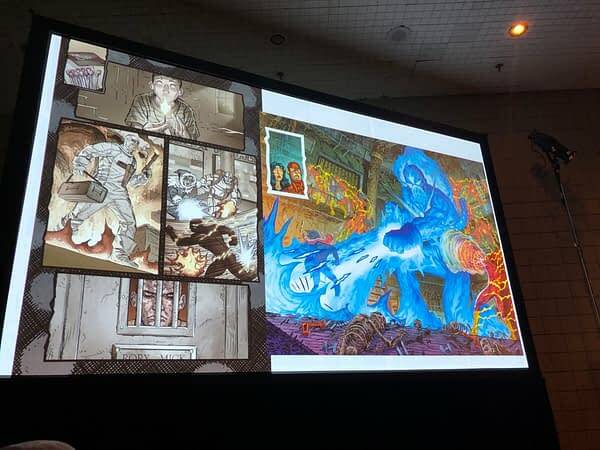 Madeline Ricchiuto has passed on word from the World’s Finest panel at New York Comic Con. 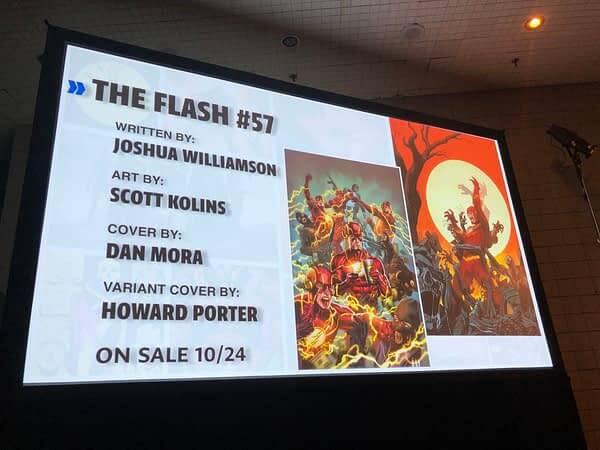 That in January, DC will publish The Flash Annual #3 that will deal with the Heroes In Crisis fallout. 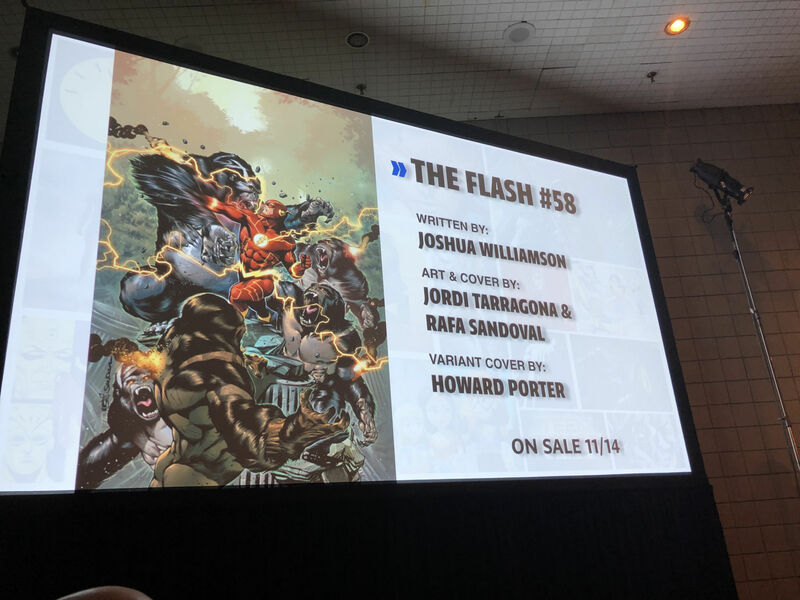 That will see Barry having to tell Iris about the death of Wally. But just so it isn’t an entire blubfest, it will also have the full return of Bartas Impulse, set before the new Young Justice serues, and bring Godspeed back too. 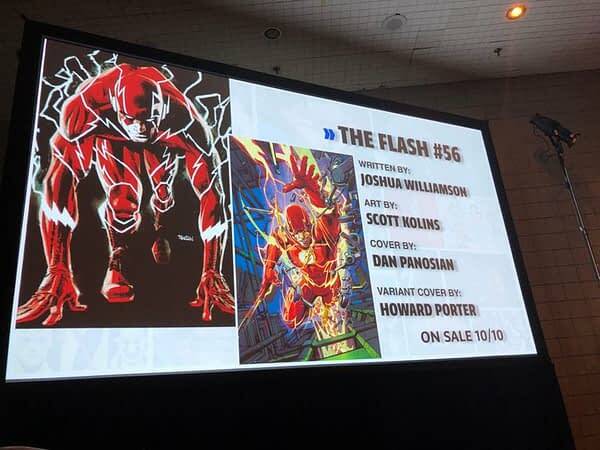 We also got a look inside the upcoming Flash #56, #Flash 57 cover and variant and Flash #58 cover. With the note that Barry has been pretty directionless since the end of Flash War. And this story will have Barry and Iris on a honeymoon adventure around the world. 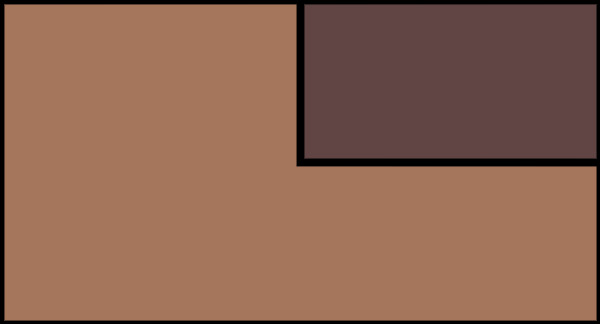 And that Barry gets back to being happy and having fun.